After 28 years on the job, Salem City (NJ) Police Sgt. Douglas Hogate Sr., Badge # 612, called in his final Code 3. 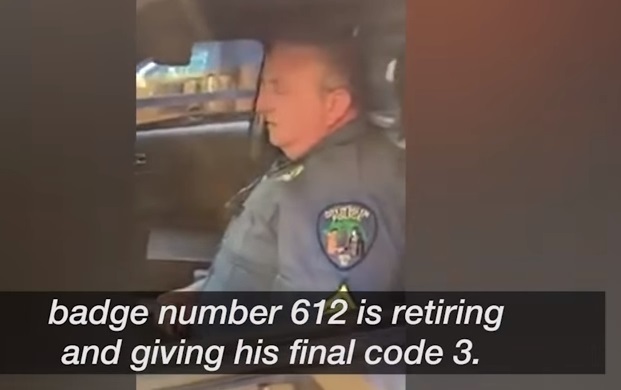 The next voice he heard was county dispatcher Douglas Hogate Jr who responded, "It is my honor to acknowledge this Code 3 to the greatest man I know."